Fashion Trends Mother And Son Matching Indian Outfits! Mother And Son Matching Indian Outfits! The bond shared by a mother and her little one is immeasurable and eternal. So what better way to stun at a party, function or wedding than to wear an outfit matching your son? It’s the latest trend on the block and is a wonderful way to embrace the love between a mom and son. Also, these make for great photo shoots. 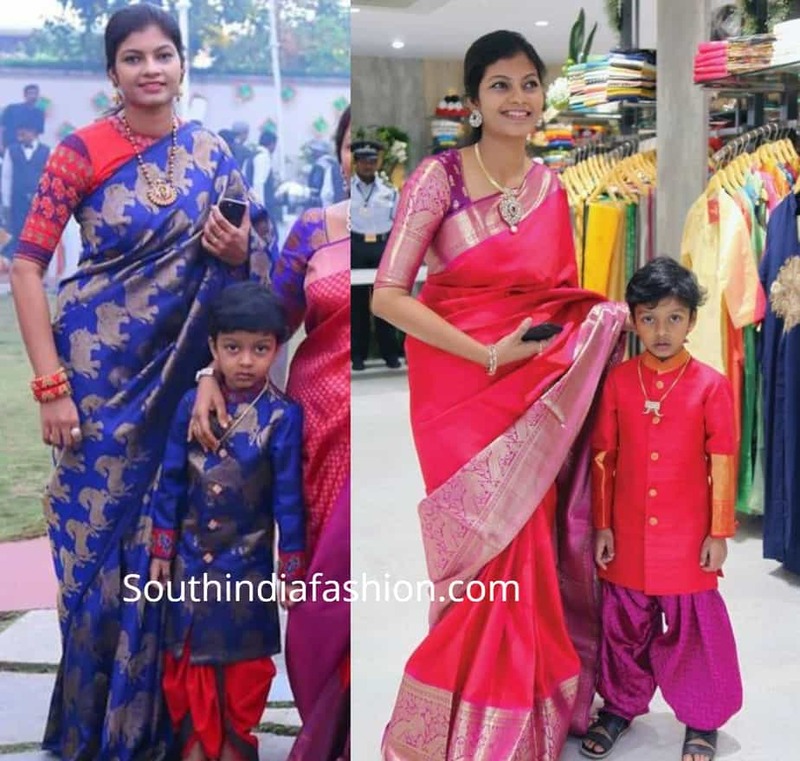 So, here’s a compilation of some ethnic mother son matching Indian outfits to inspire you and your tiny tot. 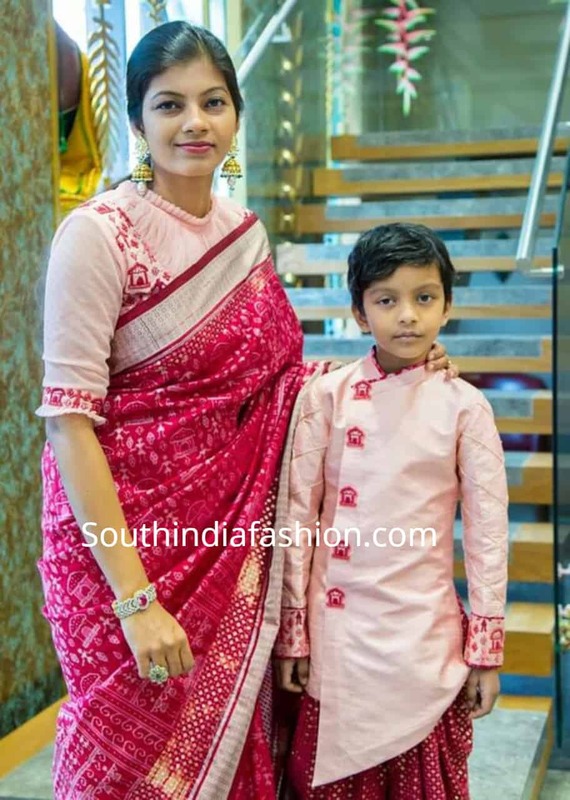 Shine in traditional mother and son matching Indian outfits! 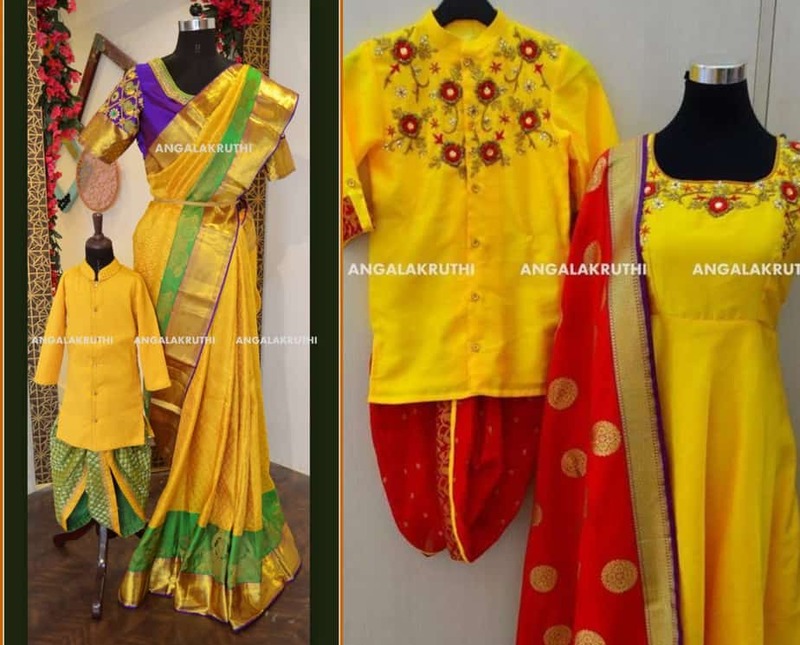 Dress your little boy in an adorable kurta and dhoti pant set that matches your pattu saree. Match the prints too and not just the colors to really nail the mother son matching clothes mania. If you wish to, you could even match your accessories by wearing similar chains. Add a modern twist to your traditional mother and son matching formal outfits, here’s how to do it right. Choose a traditional print like warli for your saree and accents of your son’s sherwani. For the modern touch, tailor a contemporary blouse with a ruffled collar for yourself and an asymmetric hem for your kid’s sherwani. 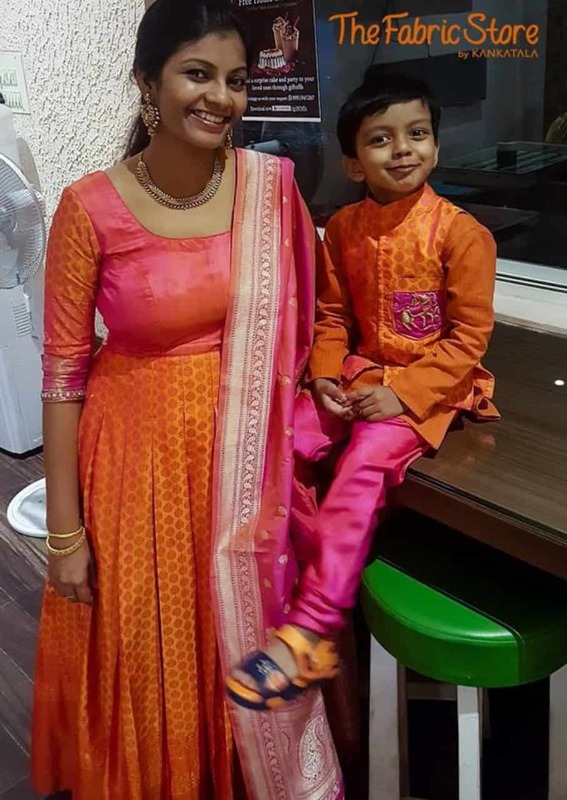 Mother and son matching Indian outfits don’t always have to consist of a saree. 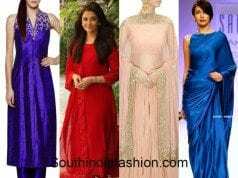 For all the mom’s who prefer salwars and anarkalis, this is an ideal option. Opt for an anarkali for yourself while your son rocks a sherwani suit in the same color. 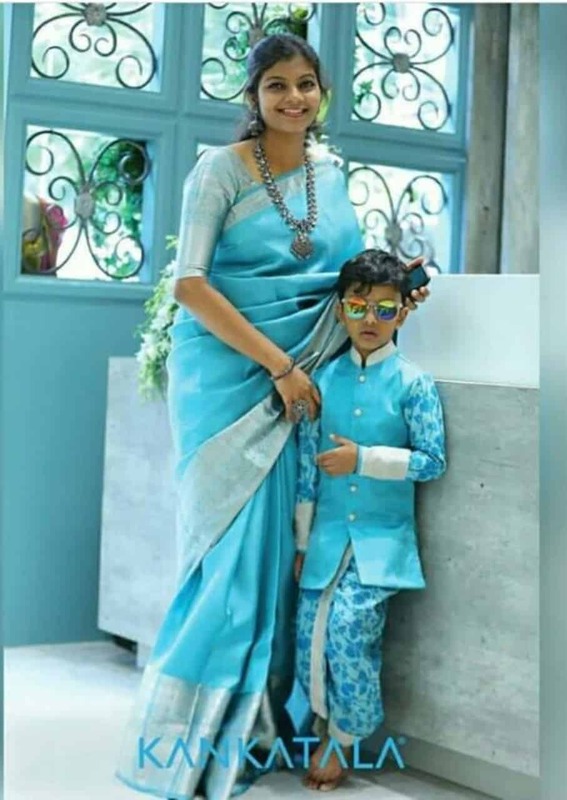 Match your dupatta with his pant and you’ve got yourself a snazzy mother and son matching Indian outfit. If you like to stay away from being too matchy, something like this would be a great choice. Simply coordinating the colors of the two outfits alone can still have the same effect. It doesn’t always have to be spot-on with the exact prints and textures. 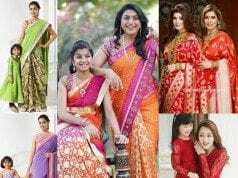 You could also get your hubby to join in on the fun for the perfect family matching ethnic wear. Take this trend a step further by getting matching embroideries on both mom and son outfits. You’ll be making heads turn no matter where you go. Not only are these mom and son goals but also fashion goals! Adorable Mother Daughter Matching Outfits!